GIGANTIC BREWING WEEK and MONTH!! Thank you for all of our patrons for a great 2013. This year all of us at Hatos aim step it up even further. It is time to announce this year's first special event, titled "GIGANTIC WEEK and MONTH" featuring Portland, Oregon's GIGANTIC BREWING. All 5 taps will feature different varieties of GIGANTIC BEER. 3 or 4 taps will feature different varieties of GIGANTIC BEER. Our business hours are from 6pm to 1am. Please note that we are closed Sundays and national holidays. Despite the name, GIGANTIC BREWING is actually a very small brewery run by two dedicated craftsmen, Van Havig and Ben Love. 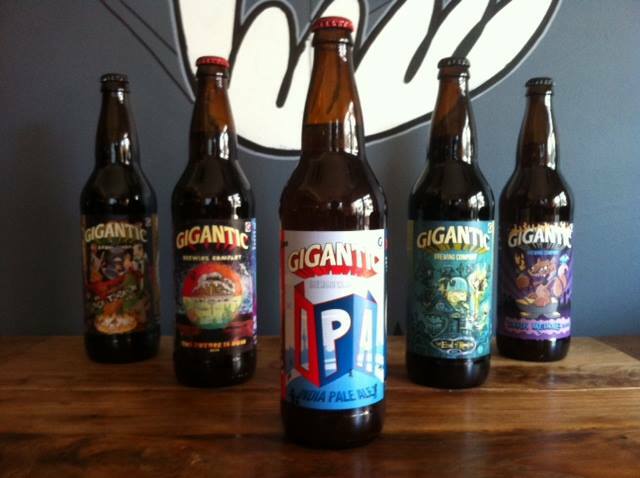 GIGANTIC's foundation is their IPA (India Pale Ale). 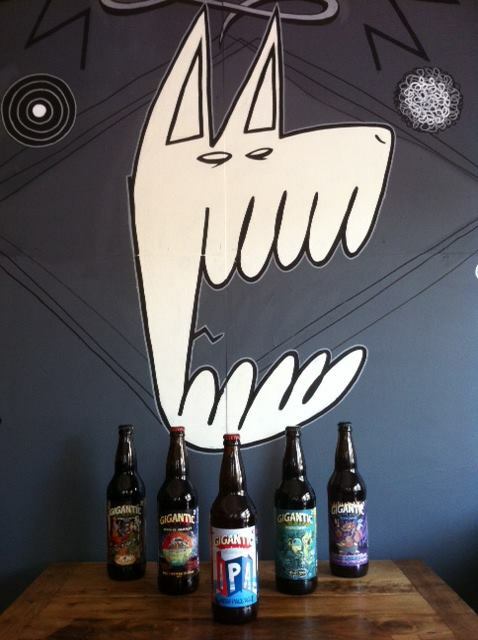 In addition to the IPA, a wide range of craft beers are brewed on a seasonal basis. All of their beers reflect their dedication to quality and craftsmanship, which is reflected in the beers' label and packaging as well. All of GIGANTIC's artwork is chosen from local and international artists. We would like to take this opportunity to share GIGANTIC's unique brews with our patrons! During "GIGANTIC WEEK and MONTH," Ryuichi Ogino's exhibition entitled "Shibiru" will be taking place. Please enjoy them together! We will be closed Aug,1st Friday.